Whether a manufacturer provides food for human consumption or for animals, they need to ensure they're prepared for a recall. Organizations are facing increased scrutiny over labeling and contents of the items they place on store shelves. For food manufacturers dealing with the human side of the supply chain, there are government regulations in place that require essentially farm-to-fork traceability. While there are laws on the books for the pet food industry, the global movement of merchandise often increases the likelihood of either mislabeling or outright fraudulent behavior on the part of suppliers, according to Pet Product News, which cited a recent study conducted by researchers at California-based Chapman University. The Chapman University researchers will publish their findings next year in "Food Control," a scientific journal. 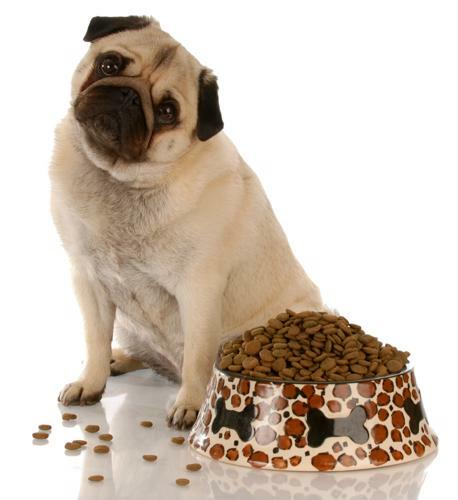 The overarching result of the study is that the majority of pet food is labeled correctly - in fact, 31 out of 52 products were accurate. However, 20 others were identified as potentially mislabeled and one sample contained an unidentifiable meat product. One of the researchers drew attention to the discovery of horse meat in European ground meat products in grocery stores. One of the biggest issues the study uncovered was that pork was not declared on the list of ingredients in many cases, and there were instances where other meat products were substituted for the variety labeled on the product. Kurt Gallagher, director of communications and export development for the Pet Food Institute, explained pet food is highly regulated in the U.S. The most responsible organizations work with the Food and Drug Administration, as well as the Association of American Feed Control Officials, to ensure their products comply with national and local standards. The Chicago Tribune reported Bravo! and Kong Aussie Sticks removed their products from store shelves because of a pet health risks. The FDA indicated Bravo! products may contain salmonella. There's a danger for both the pets in consuming the food, as well as the humans who must handle the items. Kong Aussie Sticks, a dog treat, were likely contaminated by mold because they weren't allowed to dry properly, the company explained to Dog Food Advisor. All affected products can be returned to the store at which they were bought. Simmons Pet Foods (formerly Menu Foods) provides a clear example of what pet food manufacturers can do to improve food traceability efforts. To be proactive against food recalls, the company wanted to find out the source of every ingredient in its products. The company is a food supplier for dozens of the top pet retailers in North America and generates more than $260 million in annual revenue, meaning it has a complex and valuable supply chain that needs to be looked at with great care. Simmons selected RFgen Mobile Foundations for Oracle's JD Edwards to integrate with its JD Edwards EnterpriseOne solution to improve lot traceability, efficiency and real-time data collection. Since Simmons integrated RFgen's solutions, the company has been able to track shipments with greater ease through standardized license plating protocols between warehouses. Each unit gets a unique serial number that gives the company clarity into the flow of goods as they move from one place to the next. This helps reduce the risks associated with recalls because Simmons can be precise in locating the source and movement of potentially contaminated foods if and when it reaches store shelves. One of the key benefits that Simmons cited is the fact that RFgen's tools are incredibly easy to use and integration is seamless with the company's JD Edwards system. The organization's employees were able to get the hang of the solution with minimal user training. In too many situations, third-party software solutions are either overly complicated to integrate with an existing ERP system or the new technology isn't user-friendly - and sometime both situations occur at the same time. With an issue as important as food traceability, food manufacturers need to make sure they have the right tools and solutions in place to make sure data collection is not only accurate but easy as well.